Just days after setting the internet ablaze with his Alternative Press video interview, Falling In Reverse frontman Ronnie Radke has released another never-before-heard hip hop track. 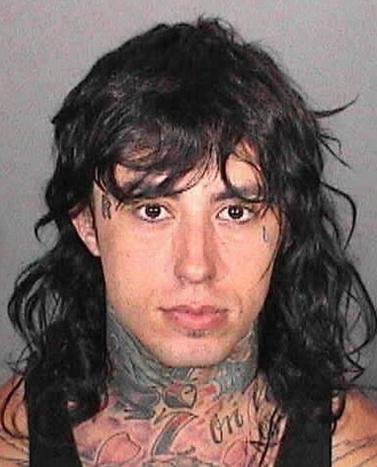 Anyone who has followed the career of Ronnie Radke knows he has hard a life. Mom was not around, dad did his best in the face of his own addiction issues, but by and large Ronnie was left to take care of himself. We can argue and comment on the results of those efforts, but it’s the journey that he experienced that is the subject of “What Up Earth?” It’s a quick-paced recap of Ronnie’s life, and explains how he rose above challenges thrown his way to become the man we all know today. You can stream the song at the end of this post. Call me crazy, but this may be the best thing Ronnie Radke has released in 2013. It’s still completely ridiculous, but at least the lyrical content and overall message stem from a good place. Comment below and let us know if you agree. Now that two hip hop songs found their way online, something tells me more will probably follow suit. Keep an eye on our Twitter and Facebook for updates. Not big on the rap but its actually really good. Just because of the lyrics.